The Quickie 2 Lite is everything you love about the Quickie 2 in an ultra lightweight, simple package. 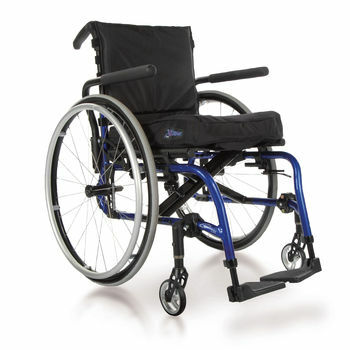 It offers an efficient option mix for active users looking for performance, style and fit in a modular and lightweight folding wheelchair. Using the same principles as the Quickie 2, the Quickie 2 Lite offers a highly-adjustable modular frame. It features multiple front frames and seat rails in combination with an independent cross brace and rear frame. This is important when considering any potential changes in a user's condition, function, growth and/or environment. When expanding or lengthening the chair, only select components need to be replaced, not the entire chair.